Shopping for Beauty and the Beast Backpacks? 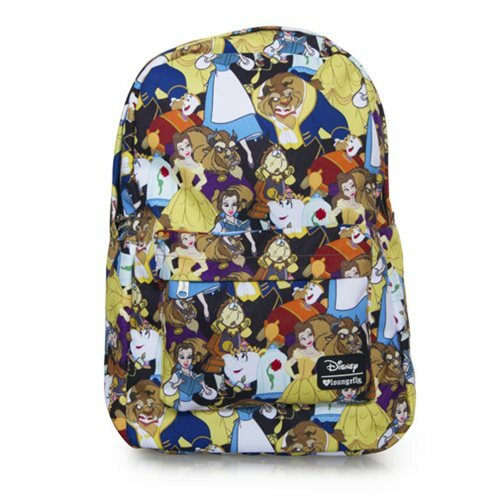 Made of printed nylon, this Beauty and the Beast Belle Characters Print Backpack features an interior laptop pocket, an outside pocket, a handle, and straps and measures about 17 1/2-inches tall x 11 1/2-inches wide x 5-inches deep. Beauty, the Beast, Mrs. Potts, and others make up the colorful and enchanting imagery that adorns it and/or the matching Beauty and the Beast Print Travel Cosmetic Bag (sold separately). Be our guest and order both right away!